Images remixed by Oiwan Lam. China’s State Council Information Office released updated regulations on 2 May that will restrict individuals from writing and reading news stories from individual blogs and social media, including Sina Weibo and WeChat. Under the news rules, users will be required to obtain a permit before writing or distributing news on social media. The updated version  of the “Provisions for the Administration of Internet News Information Service” will take effect on June 1, 2017. Along with restrictions on news reporting, the rules will also require individuals to submit real identity information when subscribing to a news information service. The original provisions were introduced in September 2005  to restrict online news outlets from writing and publishing original news stories from “illegitimate” sources, in an effort to force all online portals to distribute news only from news agencies licensed by Internet News Information Service Work Units. Despite the many layers of censorship that China is so well known for, the digital media environment has given rise to a robust industry  of individuals doing serious news reporting online. The country's various social media platforms have enabled more and more independent writers to use blogs, Weibo and WeChat public platforms to write news features or news commentary. Some independent journalists or commercial media outlets have even managed to support their work with readers’ cash tips and commercial ads. Individual bloggers who publish politically sensitive stories are subject to heavy censorship by the authorities and the community abuse reporting system on the public platforms of social media. Yet many have learned how to write reports that share important information with the public without violating political and community rules. Live-streaming mobile apps have made it even more difficult for the censors to stop live reports on time. The newly announced provisions may curb this trend by extending previous restrictions from web portals and news outlets to all social communication platforms. Article 5: Internet news information services that make use of websites, apps, forums, blogs, microblogs, mobile public platforms (e.g Wechat), instant message and livecast should obtain permits from Internet News Information Services work unit. Any Internet news Information services that are not granted by the permits are forbidden. In the old version of the provisions, the restrictions are confined to websites that provide news information services with an Internet News Service permit system. The new regulations have extended the restrictions to new media, me-media and social media. Which means, users of Weibo and Wechat have to acquire a permit for distributing news information, or else they could be subject to a RMB10,000 to 30,000 fine (approximately US1,400 to 4,300 dollars). New media is no longer a free world. According to the provision, news information is defined as reports, comments on social and public affairs including politics, economics, military, diplomacy and breaking news. The term “Internet news service” is defined as reporting, editing, distributing and redistributing of news and the operating of distributing platforms. I think it is an impossible mission for ordinary people and websites to obtain a news information permit. Under such regulations, all contents, reports and comments about current affairs and policies would be restricted. 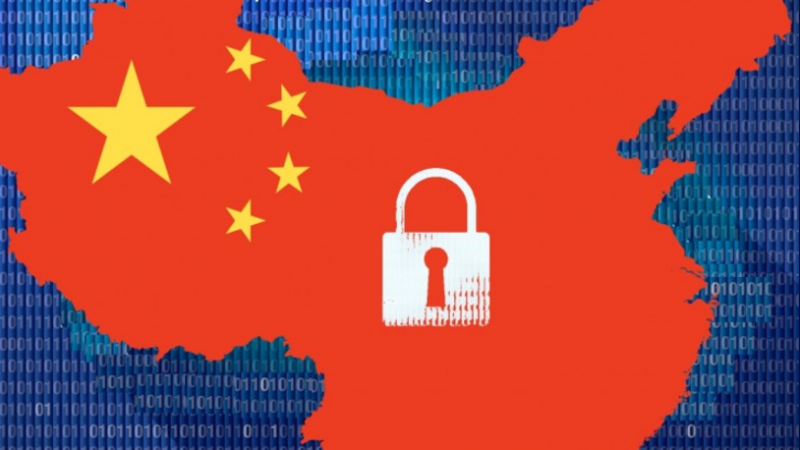 Article 13: Internet news information providers when providing internet news information platform service to individuals must follow the regulations under the “Cybersecurity Laws of the PRC”, requiring their users to provide real identity registration. Internet news information providers should not provide service to users who have not provided real identity information. Long believes the new requirement is intended to reduce anonymous comments in news-related conversations on social media. The new regulations are targeting ordinary netizens, which means news readers. The biggest impact is that real name restriction is needed for reading news. If users do not provide real identity information, the news platforms cannot provide service to them. My guess is that the measure is to prevent users from making anonymous comments in the news thread. With real name registration, it is easier to catch those making “illegal” comments. It is difficult to implement [the real name registration of news readers], the most likely result is to make sure the readers cannot comment anonymously. The regulations also require Internet News Information Service Providers to hire professional editors and journalists with licensed press cards for processing news stories (Article 11) and to ensure that private capital investors do not intervene into the operation of the news room. Since 2013, Chinese authorities have mainly used China's Rumor Law  to stop individual netizens from distributing unverified news information on social media. Under the law, any piece of news or information that has not been released by official government channels can be considered a rumor. The new regulations provide additional legal ground to curb individual netizens’ rights to free speech by forbidding them from writing original witness reports, distributing news information from illegitimate sources and commenting on news anonymously. It is like asking us to uninstall all the communication tools or else whenever you speak, you could violate the law. [Such regulations] is curbing innovation. So sad. The regulations will outlaw all kinds of online activities and will only result in selective enforcement. It is too soon to know exactly how the regulations be implemented after June 1. But what we can anticipate is that the space for independent journalistic activities on social media will be further restrained.